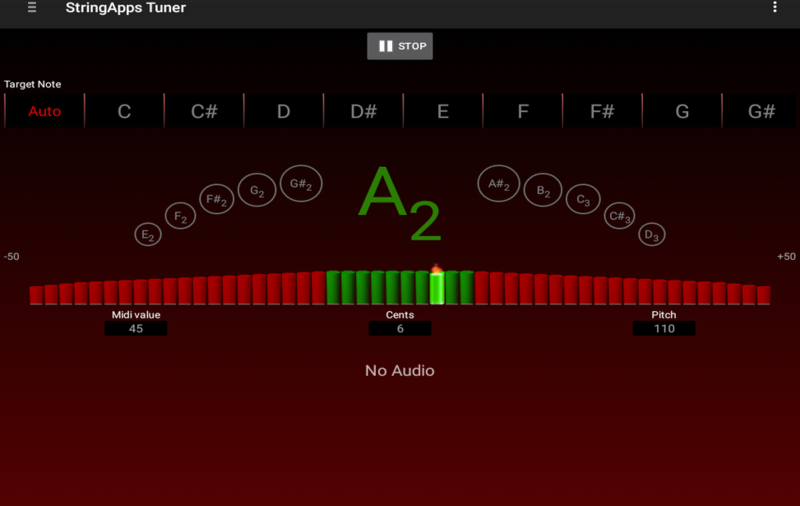 With StringApps's high precision chromatic Tuner, even beginners can tune their musical instruments or human voice. Available at your Google PlayStore and in Amazon Marketplace. 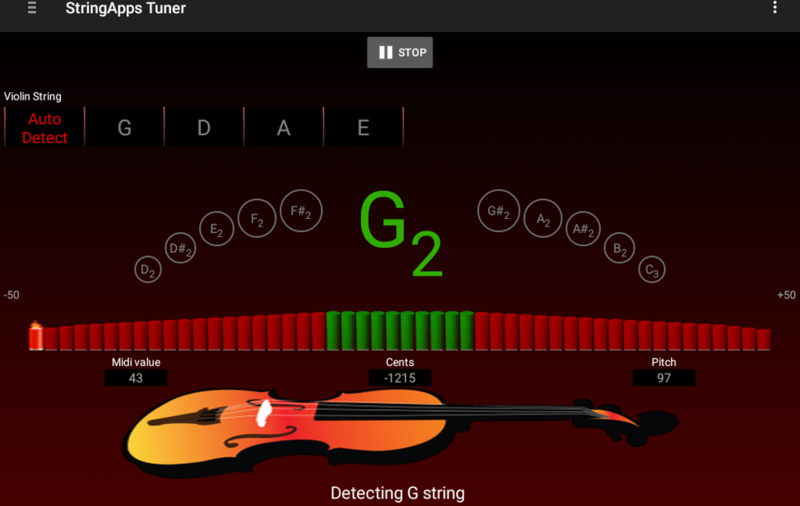 Uses music recognition to detect musical note which results in very high precision detection. You can even detect upto cents. Supports various instruments such as Violin, Clarinet, Guitar, etc. It can also detect human voice and can be used for tuning when singing. Supports various music styles such as Western, and Carnatic. 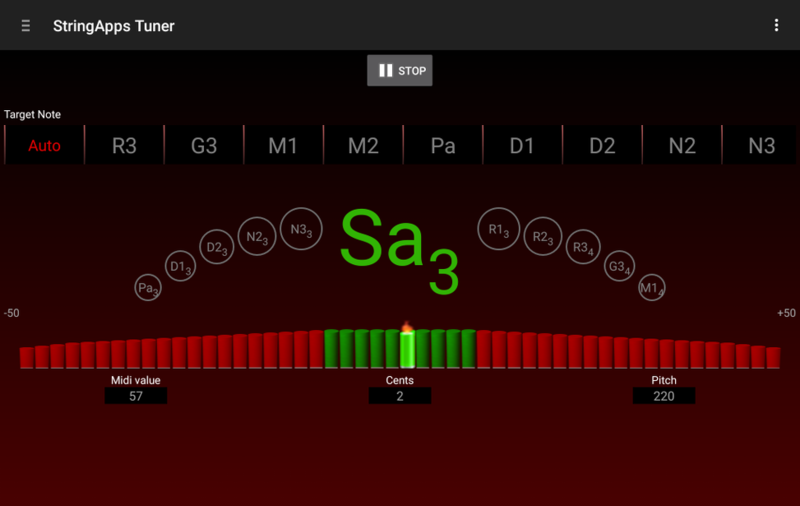 Based on the instrument, it also allows you to choose the reference note. With StringApps's high precision chromatic Tuner, even beginners can tune their music instruments or human voice.